Last week marked the first week of Big 10 competition for women’s soccer programs. 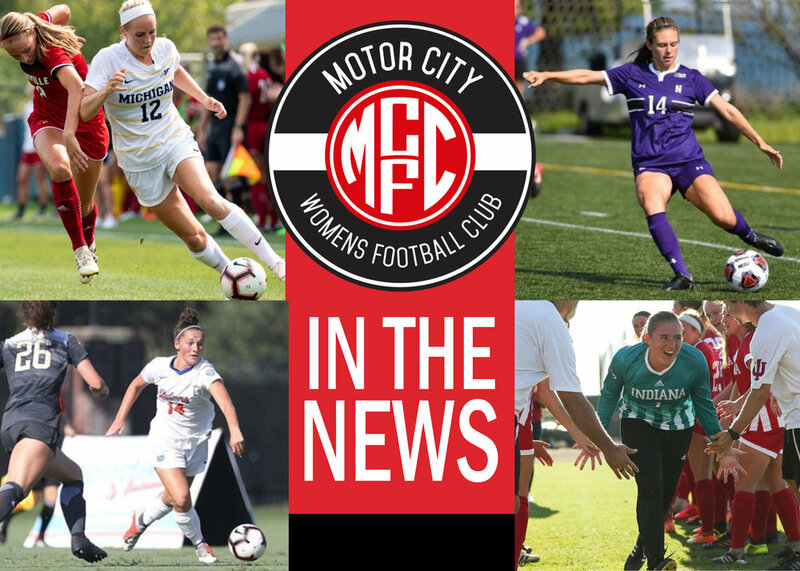 Many of the players who were Motor City FC teammates in the spring are now rivals in the fall. Reilly Martin scored 28 seconds into the match and Sarah Stratigakis added a second goal in the 22nd minute as the Michigan Wolverines took on the Indiana Hoosiers. Indiana’s late second half run was too much for the Michigan side as Indian managed a 3-2 in double overtime win in a Big 10 match played on Thursday, September 13. The Wolverines shut out the Purdue Boilermakers 1-0 the following Sunday. Reilly Martin had three shots. Michigan State had several chances to find the back of the net including a shot by Bella Jodzis that missed wide right as the Spartans closed the opening week of Big 10 play with a 3-0 loss to Indiana. Sophomore goalkeeper Bethany Kopel had a season-high 10 saves as the Indian Hoosiers bested the Michigan Wolverines 3-2 in double overtime on Thursday, September 13. Kopel earned her third shutout of the season collecting three saves as the Hoosiers blanked Michigan State 3-0 on Sunday, September 16th. Brenna Lovera assisted on the lone goal as the Northwestern Wildcats played the Wisconsin Badgers to a 1-1 draw in double overtime. Senior Marisa Viggiano lofted a free kick from 40 yards out into the box. Lovera got to the ball first bouncing a header to an open Michele Chernesky who punched it into the net to give the Wildcats a 1-0 lead. Marissa Vigianno lead the Wildcats with three shots, all on goal in a 2-0 road loss to Minnesota on Sunday, September 16. Conference play started for several other college conferences as well, and MCFC was represented. Senior Carly Mauldin offered Mississippi State’s best chance in the 37th minute as Auburn’s goalkeeper poked the ball away in a diving stop as the Tigers ended the Bulldog’s undefeated streak at 8 with a 3-0 win on Friday, September 14. Florida State dropped a close 1-0 decision to North Carolina on Friday, September 14. The Seminoles came close to tying the match in the 33rd minute as sophomore Gabby Carle collected a pass from Gloriana Villalobos with a backheel kick and slid a pass up for Dallas Dorosy on the left. The senior’s shot from 15 yards went just over the crossbar. Florida lost a heartbreaker as a late goal gave Vanbderbilt a 2-1 win over the Gators on Sunday, September 16. The Gator goal came in the 78th minute as Madison Alexander assisted on a goal by Lais Arujo. Virginia’s match at Virginia Tech was rescheduled for Thursday, September 27 due to hurricane Florence.